We’ve expanded our hours so we’re now open at 8am on Sundays — that’s two hours earlier so you can stop in for last minute brunch items. 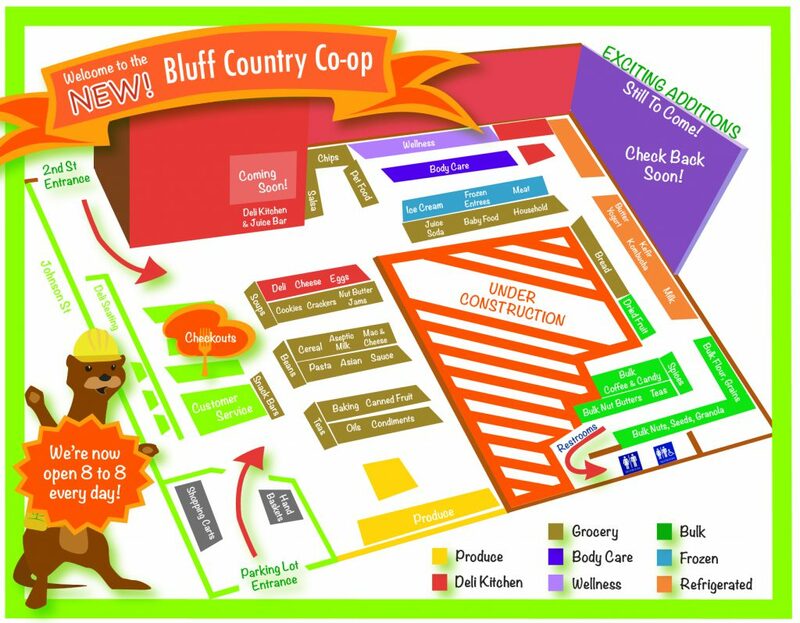 While you’re in you can also pick up our handy construction map to help you find all your favorite foods! 40 years we’ve served as leaders in sustainable food, supporting local and organic farmers and producers. Today our store continues to represent and promote food and environmental integrity, fair economic practices, and commitment to community. We welcome you to stop in whenever you’re in the neighborhood!